Mike Kruger — "The Foundation for the Reformation, the Church, and All of Life"
Kevin DeYoung — "Why the World Desperately Wants the Doctrine of Justification (But Doesn’t Realize It Yet)"
James Anderson — "The Glorious Offense of God's Gospel Grace"
Bill Barcley — "The Reformation of Worship"
Don Fortson — "William Tyndale: The English Luther"
Brian Peterson — "A Glorious Church: Why the Reformers' Vision for the Church is Our Greatest Need"
Blair Smith — "Against the Idol Making Factory"
Derek Thomas — "Worshiping the God Who is Worthy"
Kevin DeYoung — "Ad Fontes: The Reformation Slogan We Never Hear About"
Mike Kruger — "Are You a Pretender or a Repenter?" A two-day conference sponsored by Christ Covenant Church, Matthews, and Reformed Theological Seminary, Charlotte, in celebration of the 500th anniversary of the Protestant Reformation. The conference was held October 27 & 28 at Christ Covenant Church. We are excited to be able to offer these videos of our plenary and breakout sessions (coming soon!) from the two-day conference as a resource. 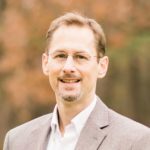 James Anderson is Associate Professor of Theology and Philosophy at RTS Charlotte and an ordained minister in the Associate Reformed Presbyterian Church. He and his wife, Catriona, have three children. 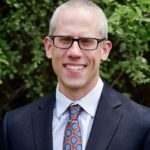 Kevin DeYoung is the senior pastor at Christ Covenant Church and an assistant professor of Systematic Theology at RTS Charlotte. He and his wife, Trisha, have seven children. 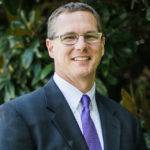 Dr. Derek Thomas is the senior pastor at First Presbyterian Church in Columbia, SC, and the Robert Strong Professor of Systematic and Pastoral Theology at RTS Atlanta. Derek and his wife, Rosemary, have two grown children. 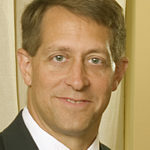 Dr. Michael Kruger is President and the Samuel C. Patterson Professor of New Testament and Early Christianity at RTS Charlotte. He and his wife, Melissa, have three children. Blair Smith is an Assistant Professor of Systematic Theology at RTS Charlotte and a Teaching Elder in the Presbyterian Church in America. He and his wife, Lisa, have four children. 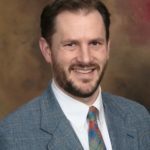 Dr. William Barcley is Senior Pastor of Sovereign Grace Presbyterian Church and an Adjunct Professor of New Testament at Reformed Theological Seminary. He and his wife, Kristy, have six children. 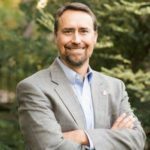 Dr. Don Fortson is Professor of Church History and Practical Theology at RTS Charlotte. He and his wife, Dr. Nancy Fortson, have two grown children. Brian Peterson in an Assistant Pastor at Christ Covenant Church and a doctoral candidate in the area of Historical Theology. He and his wife, Anna, have seven children.